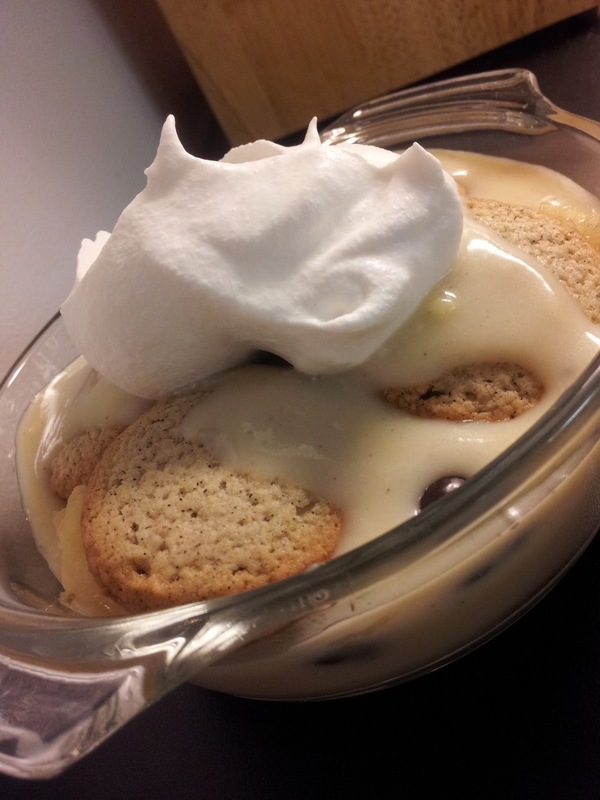 I had a cluster of five bananas that were in sore need of a new destiny, so I thought I would try my hand at making pudding from scratch. 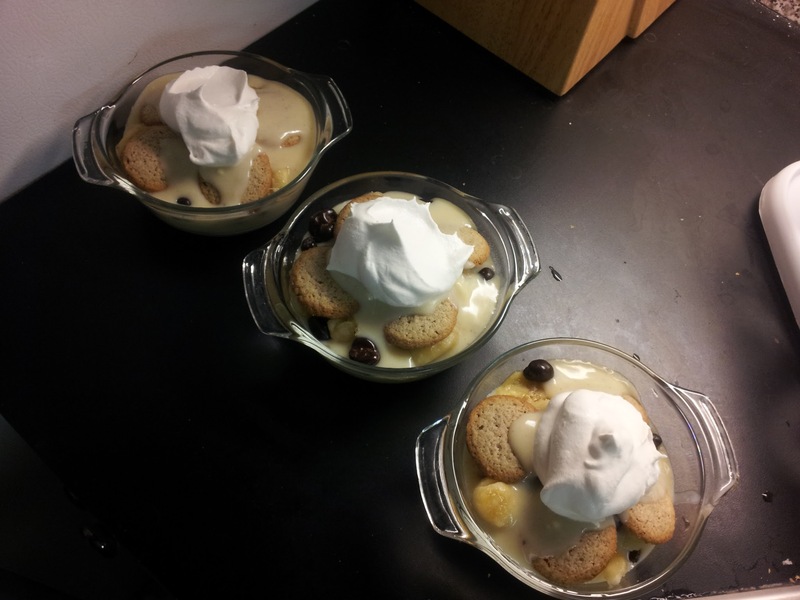 The most challenging part was stirring constantly, but I used this recipe as a guide for making vanilla pudding. I threw in some pumpkin spice, nutmeg, cinnamon, and twice as much vanilla. The nutmeg made it smell deeeeelicious. I sliced the bananas (I’d like to think, with as much skill and agility as Kung Fu Panda’s Dad) and squeezed fresh lemon juice over them to keep them fresh, and put them in the fridge for a bit. Trader Joe’s has their own version of vanilla wafers – much better than the Nilla wafers I initially sought at the store – with madagascar vanilla. They also have housemade whipped topping which is quite good as well. I walked down the sweets aisle and picked up a tub of dark chocolate covered almond bits. 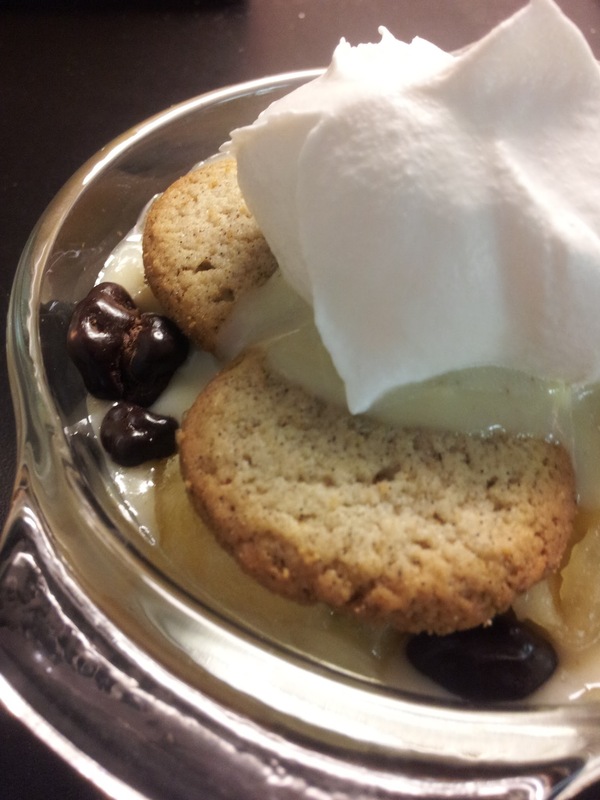 They seemed like they would complete the balance of the dessert, somehow, and oh my, did they! 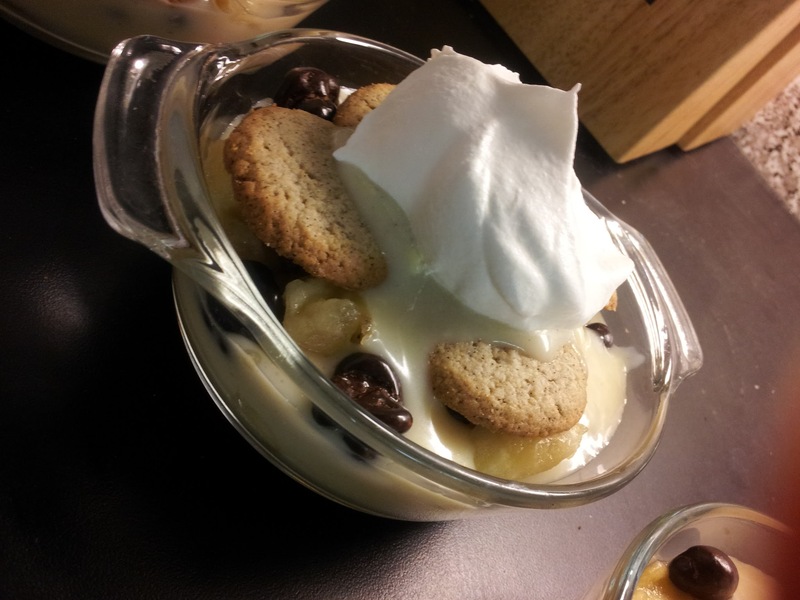 In little dessert dishes, I placed thin vanilla wafers, a ladleful of homemade vanilla pudding, a layer of sliced bananas, a sprinkling of dark chocolate covered almond bits, more pudding, and finished with a flourish whipped topping. It was tasty especially when the pudding soaked through the wafers and saturated it with a not-too-sweet, but satisfying flavor. 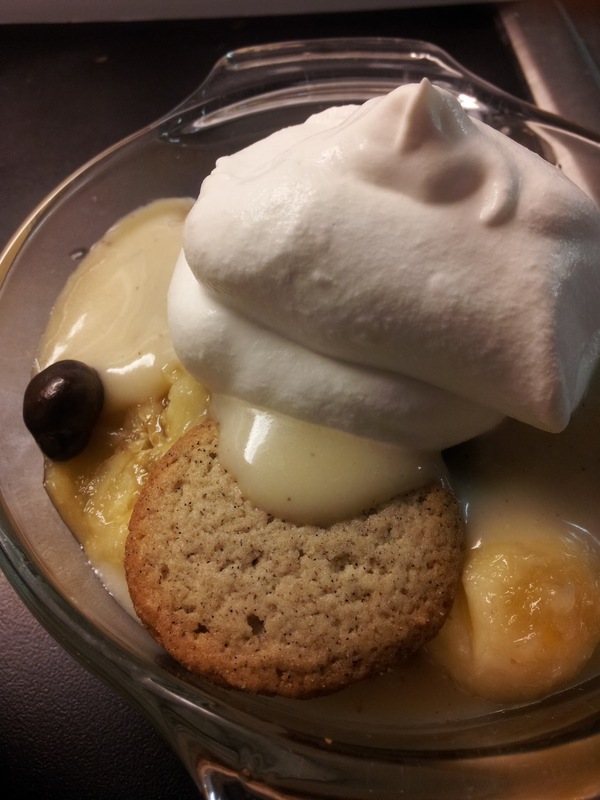 Tags: banana cream pudding, banana dessert, homemade pudding, pudding from scratch, trader joe's desserts, yummy. Bookmark the permalink.